KNOXVILLE, Tenn. – Located amid the Cherokee National Forest, the natural beauty surrounding the town of Unicoi is both an asset as well as a unique challenge when it comes to economic development. Local leaders in Unicoi have taken an innovative approach to growing business in the area and, as a result, have developed a facility that is now drawing entrepreneurs from three states. In honor of the efforts taken by the town of Unicoi to combine tourism, education, and local re-sources into an economic development driver, the Tennessee Municipal League is pleased to present Unicoi with an award for Excellence in Entrepreneurial Leadership. While the town of Unicoi has a population of under 4,000 residents, its small size has not stopped the town from dreaming big and innovating new ways of bringing in business. City leaders understand first-hand the importance of entrepreneurs. Entrepreneurs create new jobs and employ local residents; and play a pivotal role in creating a unique sense of place that enhances a community’s quality of life. To further encourage new business and entrepreneurship, the town of Unicoi established the Mountain Harvest Kitchen, a food business incubator and education facility that is designed to offer citizens access to professional-quality and commercially-used food processing equipment. Those interested in developing their own early-stage wholesale and food retail businesses can use the kitchen to experiment with new recipes, develop products, and manufacture safe products in a state-of-the-art structure. The business incubator is the only one of its kind in a 50-mile radius and, as such, has brought in both entrepreneurs and farm growers from Northeast Tennessee, Southwest Virginia, and Western North Carolina. As a result, the small town business incubator has become a regional resource. Plans for the Mountain Harvest Kitchen began 11 years ago during a strategic retreat as a way to combine both local agriculture and tourism to boost the economy. Land was purchased adjacent to the town’s new visitor center and an old, vacant structure was renovated to make the new kitchen facility. The town of Unicoi worked with organizations including the First Tennessee Development District, Tennessee Department of Economic and Community Development, the ETSU College of Medicine, the Tennessee Department of Health, Unicoi County, UT Extension, and the Appalachian RC&D to make the kitchen a reality. Numerous grants also helped finance the facility. In addition to providing entrepreneurs with a place to develop products and receive hands-on assistance from culinary professionals, the facility also offers classes for citizens on everything from bread baking, vegetarian cooking, knife skills, cooking dumplings, and truffle making to how to set up their own food-related business. 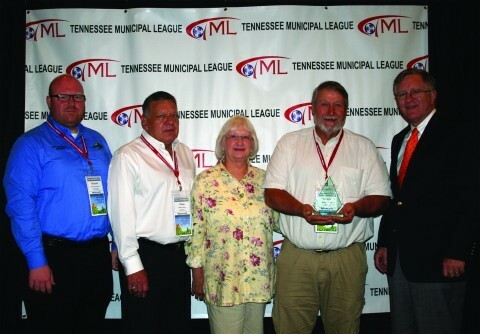 Each year the Tennessee Municipal League honors cities throughout the state for overall excellence, improvement, specific outstanding programs, or department accomplishments. Other award winners for 2018 include Dunlap, for Excellence in Green Leadership; Gatlinburg, for Excellence in Police Services; Jonesborough, Excellence in Community Planning and Development; Kingsport, for Excellence in Governance; Knoxville, for Excellence in Public Works; Martin, for Excellence in Technology and Economic Development; Murfreesboro, for Excellence in Fire Services; and Rockwood, for Small City Progress.